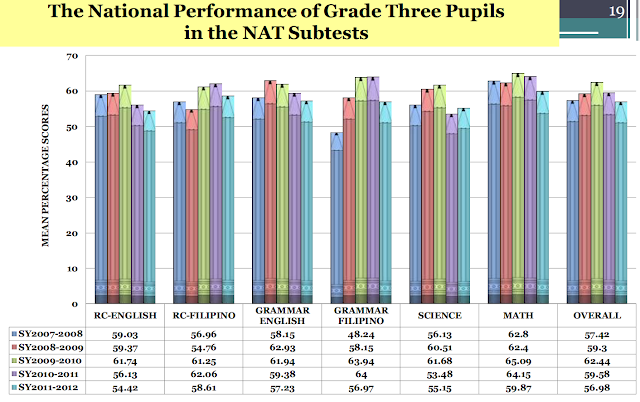 NAEP scores are obtained from National Center for Education Statistics. Child poverty rates are from Kids' Count Data Center. In both cases, poverty seems to have a negative impact on math learning outcomes, as measured by standardized tests. These are two different tests yet the results lead to a similar conclusion. One is international while the other corresponds only to the Unites States. 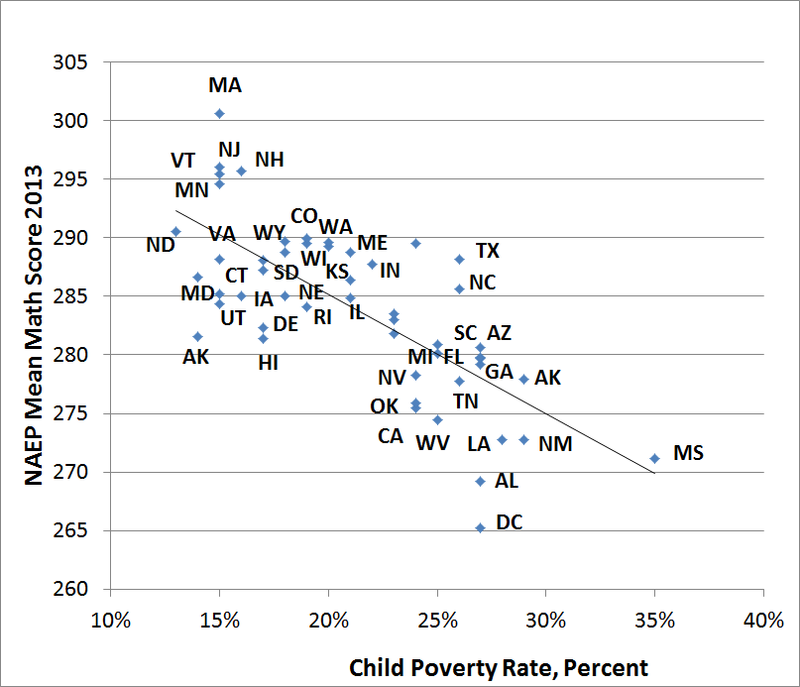 The correlation seen in both suggests that the relationship between poverty and low math scores may be causal. 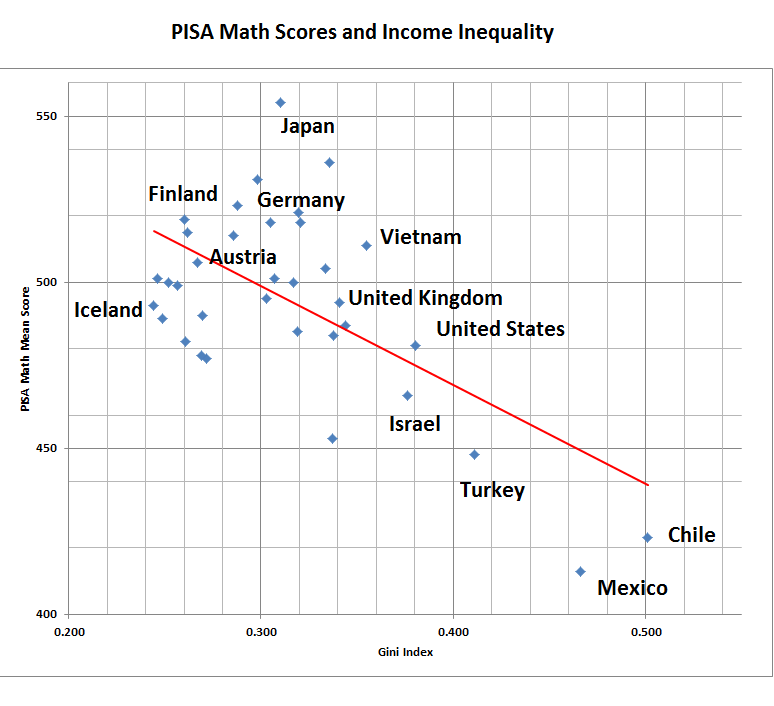 Seeing the graphs above should not lead to a conclusion that math teachers in Israel, Turkey and Chile are simply inferior compared to other countries. A conclusion that math teachers in the states of Mississippi, District of Columbia, Alabama, New Mexico, Louisiana, West Virginia, New Mexico, Arizona, Georgia, Tennessee, California, Oklahoma, Florida, Michigan, Nevada, and South Carolina are simply awful is not supported by data. 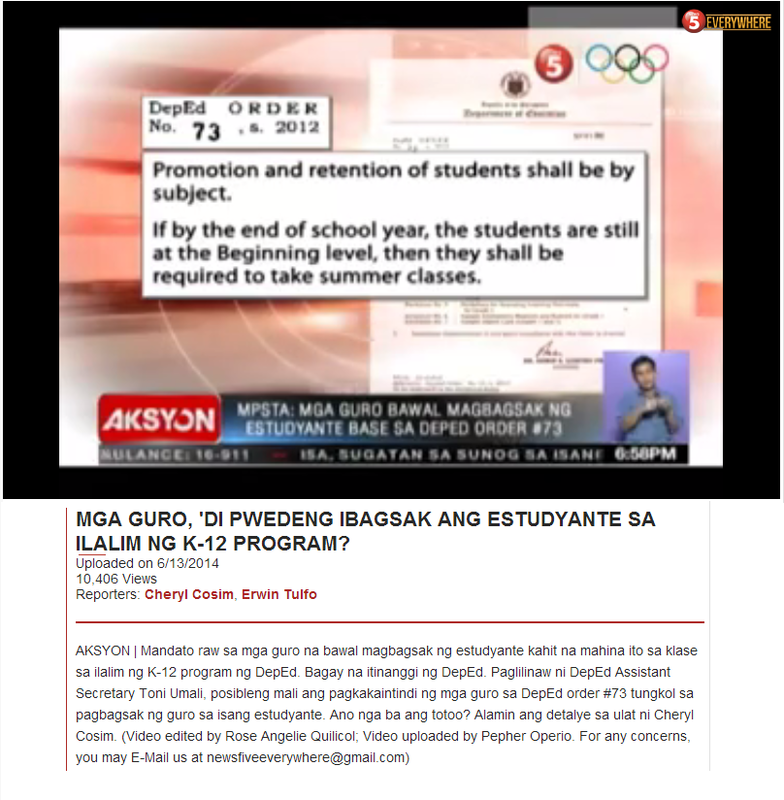 Thus, why are we looking at teacher quality then as the source of the problem in basic education? Similarly, the way math is taught in the low performing countries is unlikely similar to the way children in the southern states of the US are taught. Why are we then investing too much in overhauling the curriculum to address challenges in math instruction? Israel, Turkey, Mexico and Chile are also unlikely not to have access to technology. The same can be said with respect to the District of Columbia. Why then are we looking at technology to solve problems in basic education?